We all navigate the digital resources at our fingertips in different ways. Maybe you’re planning your dream wedding, coordinating your local sports team or documenting your passion. You could be working with colleagues on a special project, formulating your new business idea or building a curriculum for class. Whatever your project, you probably find yourself collecting snippets of information from around the web; interesting articles to read later, Twitter hashtags from an event, or the latest episode of your favorite podcasts. The Internet can be a rabbit hole of distractions and it can be a nightmare to even remember where you first found the content you need, let alone make sense of it all! Wakelet is the best way to save, organize and share the content you care about, all in one place. Add news articles, images, videos, text, PDFs, playlists, tweets and more to create unique contextual stories called collections. You can keep your collections private or share with others. Collecting information on-the-go often means saving bookmarks, taking notes and even emailing yourself the odd random article to pick up later. This can get messy across different devices, browsers and email accounts and, inevitably, information will get lost. With our browser extension and app, Wakelet works seamlessly across devices, allowing you to save links effortlessly and categorizing everything as you go. Job done. ‘Wakelet is ideal when you’re at a conference and don’t have much time to organize resources in-between sessions. I use the browser extension – two clicks and it’s added to my collection! It’s my go-to extension and app, no matter which device I’m using’ – Paul West, Tech Coach. When it comes to organizing more contextual, creative and interesting content, we believe humans do it better than algorithms. Document your business campaign, save an insightful Twitter chat or showcase your holiday of a lifetime. Wakelet lets you tell the stories that are important to you; enriched with images, notes, and even playlists. Have you heard about Dear David? Take a look at one of the Internet’s most famous digital stories on Wakelet! We’re digitally connected as never before, yet many people still rely on two sides of A4 paper to communicate their successes with the wider world. Use Wakelet to shout about your achievements and share your personal story with potential employers, clients and fans! Save time worrying about the design and build of your personal portfolio and concentrate on the part that everyone really cares about – your content! 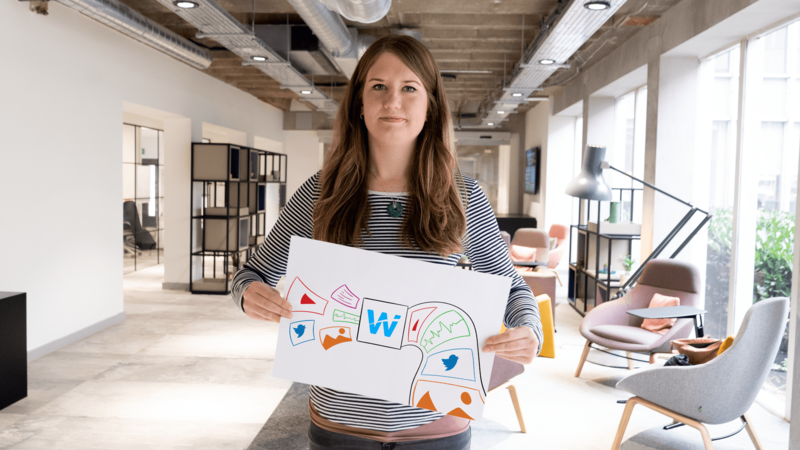 ‘Wakelet is simple to use, easy to set up, and can showcase every element of your work. It’s a Godsend. A living, breathing CV’ – Jason Pettigroe, Journalist. Check out these awesome Wakelet portfolios, one by a filmmaker and one by an artist! Just like the wakes that boats and planes create, every collection curated leaves a path for others to follow. Use Wakelet to expand on ideas that have gone before and quickly make progress with your assignments and side projects. Easily manage your research sources for school, work or personal tasks privately or share them with your wider community. Wakelet is great for presenting research projects quickly and clearly. ‘It’s a brilliant way to keep all of my work in one place, both for staying organized and for showing others what I can do,’ – Josh Slinger, Student. Team projects require great communication, clear deadlines and solid organization from day one. Wakelet is the perfect project companion for sharing ideas and making progress with team work quickly and effortlessly. From brainstorming new ideas with colleagues to sharing mood boards with clients, let Wakelet do the organizing so you can focus on reaching your team goals. Get started with Wakelet today!